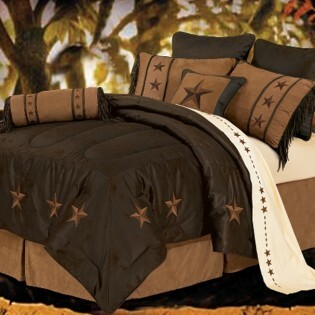 Laredo Western Star Chocolate Comforter Set. This western comforter set has the appeal of luxurious chocolate brown faux suede embroidered with western stars, coordinating pillow shams are accented with deep fringe. 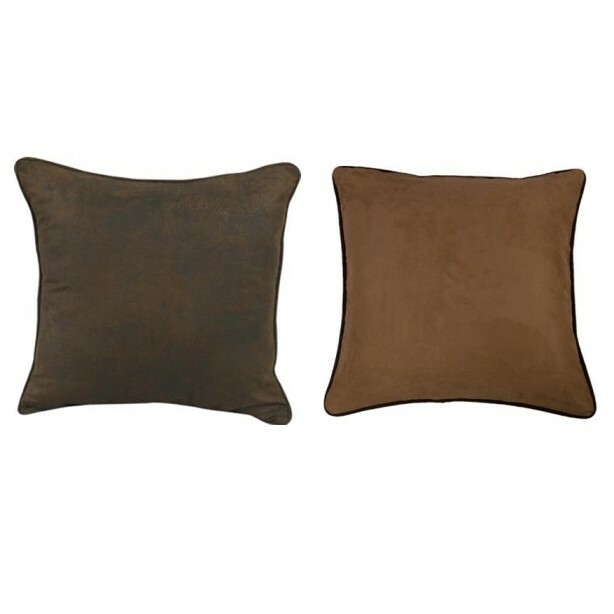 This western Laredo Western Star Bedding - Chocolate has the appeal of luxurious chocolate brown faux suede embroidered with western stars, coordinating pillow shams are accented with deep fringe. This rustic ranch bedding set includes Comforter, Bed skirt (16" drop on twin and full, 18" drop on queen and king), Pillow Shams (1 with Twin, 2 with Full and Queen, 2 King size with King), 1 Star Accent Pillow and 1 Neckroll Pillow.